A great gathering requires a great feast. 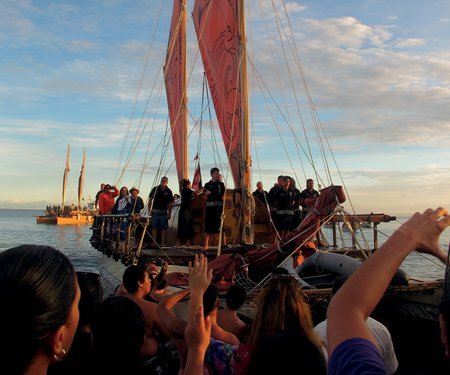 Join friends and whānau for a traditional Māori hāngi meal on the waterfront and get ready to take in the Festival’s opening night extravaganza, Kupe. Lovingly prepared by Karaka Café, your hāngi takeaway pack must be pre-booked in advance via karakacafe.co.nz. Takeaway hāngi includes pork, chicken, potato, kumara, pumpkin, cabbage and stuffing. 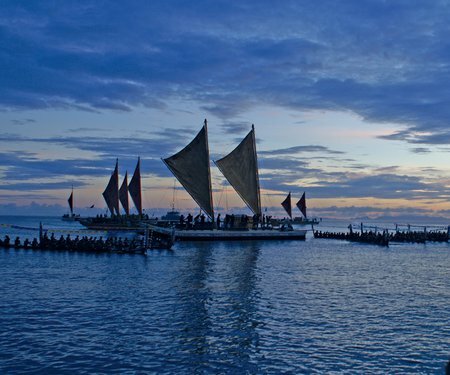 The Hāngi is a Kupe Dreaming event and part of A Waka Odyssey, a celebration of our place in the Pacific that includes the spectacular Kupe: Festival Opening Night. Download the A Waka Odyssey flyer to plan your journey. Hāngi must be pre-booked online at karakacafe.co.nz.